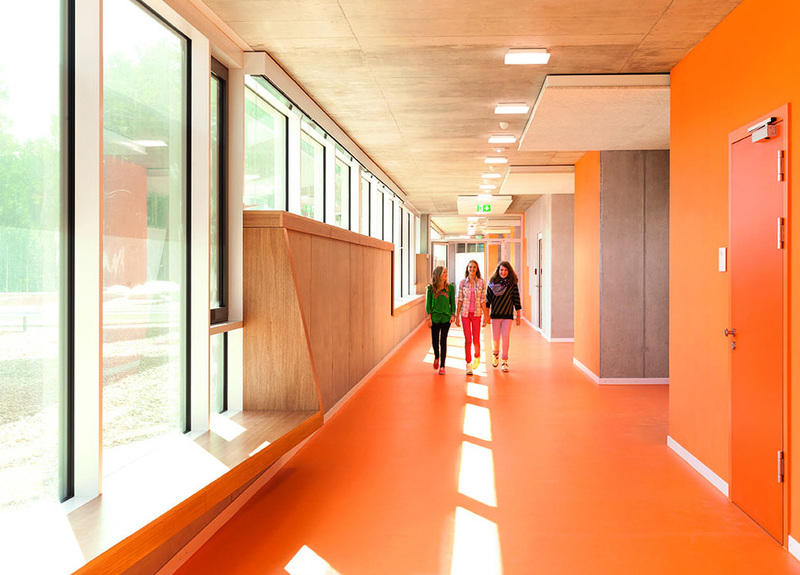 The Secondary School Ergolding is an excellent example of the use of color in an architectural setting. 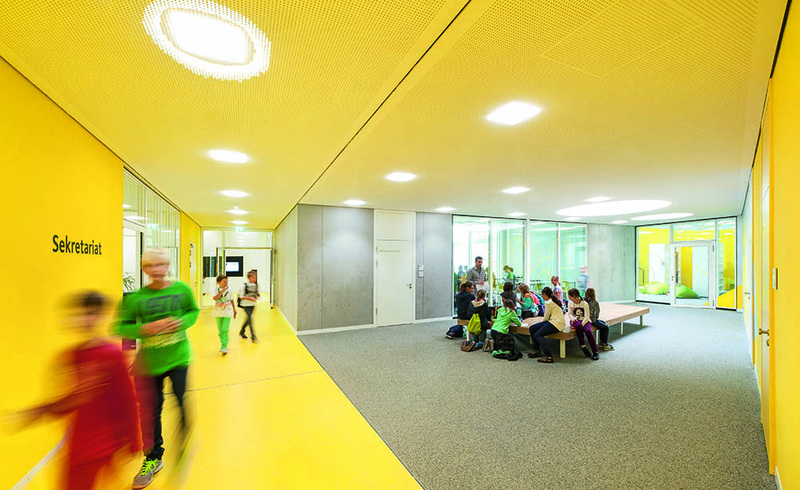 Located 70km outside of Munich in Germany, the school recently won a WAN use of color award for 2014. The Ergolding Secondary School accommodates 800 students in with four classes per grade level, with spaces for music, art, cafeteria and library. It has two gymnasiums to encourage physical activity as well as mental stimulation. Not only does the new school fulfill a need for more classroom space, but it does it uniquely and with style. 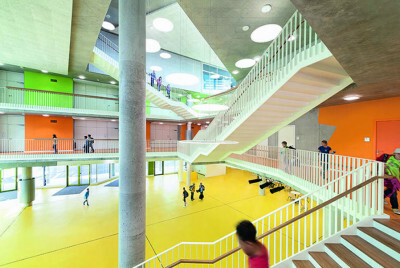 The bright colors enhance the look of the building’s open atrium, which is the center of the school’s design. Both the colors and open central atrium are a welcoming refuge for the learners who spend their time gaining knowledge. No longer are students enclosed behind a closed door or dark locker-lined halls. Parents feel the welcoming atmosphere and are encouraged to participate in planning and helping with their student’s education. One of the most user-friendly aspects of the school is its use of natural lighting throughout the building. 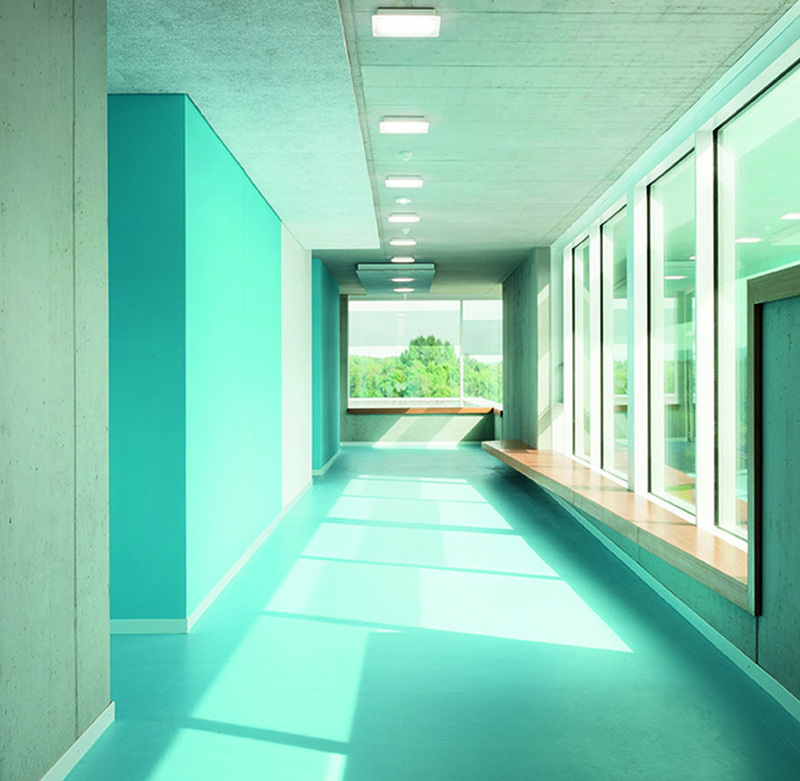 Natural lighting stimulates learning and improves mood, as many studies have shown. Educational researchers have long determined that colorful environment stimulates a child’s learning and spikes their imagination. The walls of this colorfully modern school fit that bill. Each level of the educational edifice use bright primary colors and murals to enliven learning areas. There is a feeling of flowing from common areas down halls to classrooms. 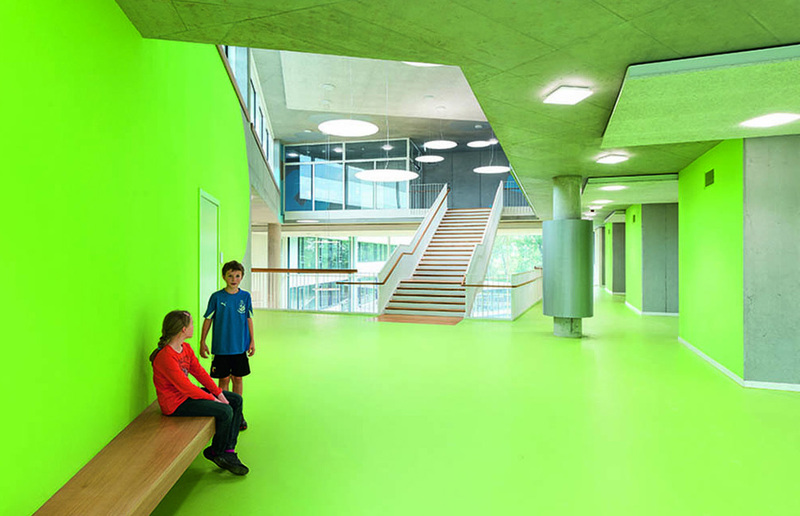 The school is designed like a learning landscape rather than a series of halls, rooms and lockers. Each classroom is designed with individual study areas as well as group learning. 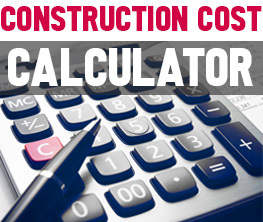 The educational environment is temperate and comfortable at all times due to the use of a gas boiler for heating and hybrid air conditioning. LED and natural lighting make the study areas comfortable for studying as well. 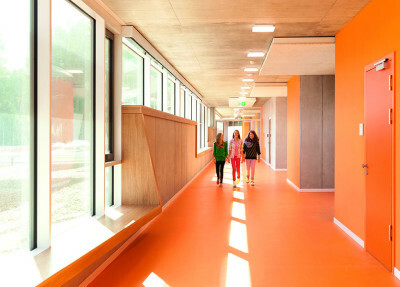 The open, comfortable and inviting design compliments the school’s philosophy and pedagogy and should be an inspiration to school designers everywhere.